Target Market: Developed for c-suite and managerial executives to hone their speaking skills by delivering powerful, effective, content-rich, relevant, engaging presentations to both internal and external stakeholders. Effective presentation skills is no longer considered a soft skill- it’s a power skill used for persuasion, influence and impact. The program is based on a holistic approach to creating confident, effective and inclusive leaders. Confident leaders are confident presenters. Class dates are set in advance and will run over a 2 month period. Tina, President of t Works, is a professional speaker and trainer and has presented to audience sizes up to 2000 attendees as well as offered corporate training to smaller leadership teams. 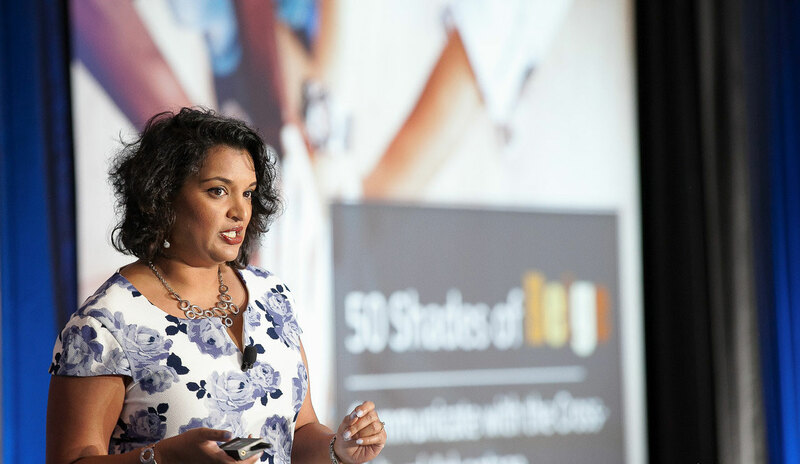 Named one of Canada’s Top 10 Notable Speakers by Ignite Magazine, she is currently the immediate Past-President for the Canadian Association of Professional Speakers (Calgary). Described as ‘dynamic, engaging, thought-provoking and very humorous’ she consistently rates as the top-rated speaker of conferences she keynotes. She specializes in cultural diversity, diversity and inclusion, inclusive leadership and work-life balance with her most popular keynotes being, 50 Shades of Beige: Communicate with the Cross-Cultural Advantage; What is Unconscious Bias, Ctrl-Alt-Del: Give the (Re) Boot to Work-Life Balance, and Inclusive Leadership: From Silos to Solutions. She has been training emerging speakers since 2011 and is now offering her speaking coaching services to c-suite professionals, leaders and managers because our message matters. Prior to professionally speaking she ran her own successful relocation and settlement firm. She worked with Alberta Employment and Immigration where she spearheaded international recruitment missions in response to Alberta’s labour shortage. She is a contributing writer for the Human Resource Institute of Alberta’s Network magazine, Calgary Real Estate News, and Home to Home magazine. She has been featured in the Calgary Herald as well as Alberta Venture Magazine. With two kids, five fish and one husband, she resides in Calgary where she recently began hip hop classes.